Have a Wet n Wild time on our Slip n Slide! 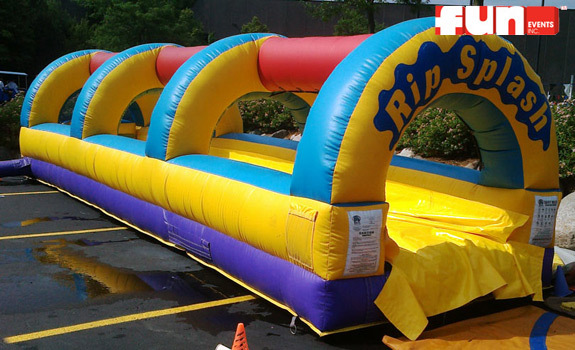 Guests step up and dive onto the 28 foot long, slippery runway and try to slide through it as fast as they can. 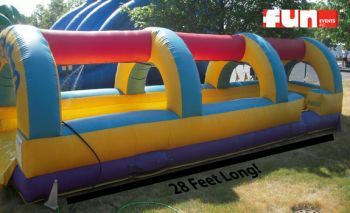 This inflatable water slide ride rental makes a great addition to any outdoor summer pool / backyard party.